13 Responses to Why Don’t We Racially Profile Whites? Excellent post. It reminds me of the phrase “That’s mighty white of you”, usually used in reference to some altruistic or generous act. Historically speaking, if I were mugged on the street, and the police arrived, and promptly assisted my assailants in their robbery and arrested me, it would in fact be “mighty white” of all of them. Very cool and so great to hear from you. Every time your face pops up on my fb page I remember those good old, bad old days. I agree with your original point, and the point i think you are trying to make here, but i disagree with the frame you are using-we totally profile whites. I think this piece reinforces the frame ‘racism is only bad things for POC,’…rather than ‘racism does bad things to POC, and good things for whites.’ That frame doesn’t show whites how much their ‘success’ is caused by the system, and not their individual achievement. we faced that frame in the EJ movement when we moved from just arguing ‘POC got all the polluting stuff’ to ‘POC also got none of the good things’ finally to ‘POC got most of the bad stuff and few of the good stuff, and whites got most of the good stuff and few bad stuff.’ Most POC have seen whites getting profiled…they get better service, more goodies, and folk work extra hard to deal with their needs. All true, and a good way of framing things, but is that really profiling, or is that just a consequence of the pecuniary value of whiteness – in other words, the cash, social advantages, etc., built into whiteness that gives it the value that white folks fight for when they go all backlash-y on us? I gotta ponder that one. Thanks for raising it. Thank you again, and as always, Scot, for raising the bar higher on conversations not held out loud, often enough, or merely for ‘polite’ conversation. (Okay, you and Ludovic know I’m a resident of one of the most “polite” issues talk cities in America). You’ve pressed the issue up against the place where it needs to be – out loud, in technicolor, and with historical frankness. I also love Ludovic’s thoughtful and different framing, and cannot wait for the two of you to talk more of this – out where we can read about it, and do something. I’m pondering all of this now. Whites also enslaved whites: what the Ancient Irish (not so much the Norman Irish) endured under the Brits for 700 years amounted to cultural and physical genocide as well… The problem with lumping together. @ Finneran: I think you must also look at the context of this conversation. Instead of arguing that Whites enslaved other Whites (which no one is arguing against), it is important to identify that status of Whites in relation to (racial) Others in America. Is your argument that the enslavement of Africans “isn’t worse” than any other enslavement? I don’t think that argument is valid or necessary. Instead, looking at race-based discrimination and its manifestation in incarceration rates, air pollution, poverty rates, education rates and health rates is what we should be focusing on. 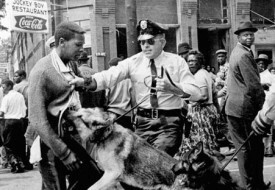 Even if one believed that race-based discrimination is “over,” they would have to then look at the people accused and sort of deem them as biologically predisposed to violence, obesity, and low intelligence, among other things (like they did back in the day…and like some people still do). Is that where we want to go? I don’t think so. There’s a book called Only Skin Deep: Changing Visions of the American Self, a text that unpacks the “invisibility” of Whiteness via photography. It really goes in. It discusses why we don’t notice Whiteness, the history of its invisibility, and it includes work by anti-racist activists and Whiteness studies scholars. It discusses “strange-ing Whiteness” by focusing on it, like we focus Blackness or Otherness (the quotes you included reminded me of the book). I think you could take one more step and ask an even more specific question: Why don’t we racially profile white males? As I’m sure you know, over 98 percent of all violent crimes (and 100 percent of mass-shootings) are committed by males. THERE’S an elephant in the room if there ever was one! These are conversations that need to happen, and I thank you for taking a step forwards and doing that. This blog is really interesting; I look forward to reading more. Thank you for what you do. I am researching a paper, and your blog and the links have helped me find what I needed to confirm (as I already guessed it) the truth. I’m glad that you mentioned Jim Crow in the context of Asian Americans. 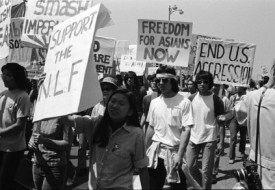 There isn’t much information about how Asians were victimized by Jim Crow. I’d be interested in you all discussing the topic in greater detail in future posts.